Welcome to Arnside Past, a website based on the research of the late Dennis Bradbury into the history of the Cumbrian seaside village of Arnside. 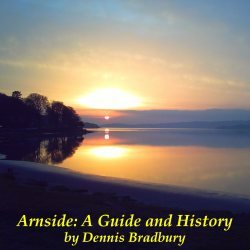 Dennis's profusely illustrated 2012 revision of his book "Arnside, a Guide and History" is now available in two ebook formats. This revision will not be made available in printed format. It includes, as an appendix, the 2012 revision of Dennis's biography of William Berry, for whom Ashmeadow House was built in the early 19th century. Both formats cost £1.99. Profits from sales will be given to the Arnside First Responders. Epub format, with images optimised for portrait-format e-readers (10 MB).